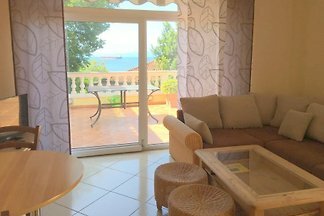 LAST MINUTE Apartment in Kostrena with pool + garden on the sea Free 8:09 - 17:09:16 and from 09/24/16 to 5 persons 100 € instead of 120 €. Apartment with private atmosphere in Croatia with community pool, garden and sea views. Villa Lijane with pool and garden, upscale amenities many amenities center close to the sea in Kostrena in Rijeka. from 5 3 holiday homes & accommodations in Kostrena were rated with an average of 4.4 out of 5 stars ! Rent successfully your holiday flat or holiday home in Kostrena in only 20 minutes !